Look at all our new friends! 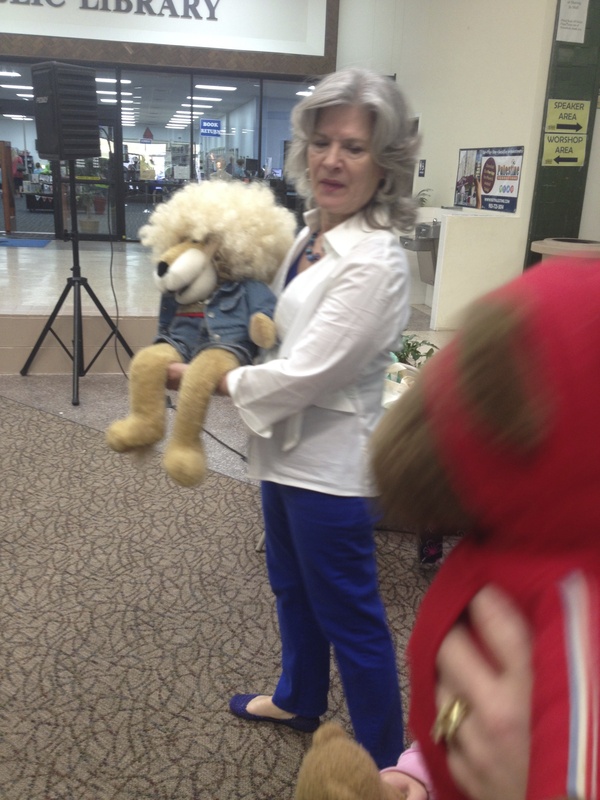 March: Again, special thanks to Ms. Jamie King, youth librarian at the Palestine Public Library and all the staff and volunteers for all the hard work to put on the first Dogwood Trails Book Festival on March 29th. As part of the Festival events on Friday the 28th Spike and I told stories to more than 1,160 students at two primary schools! 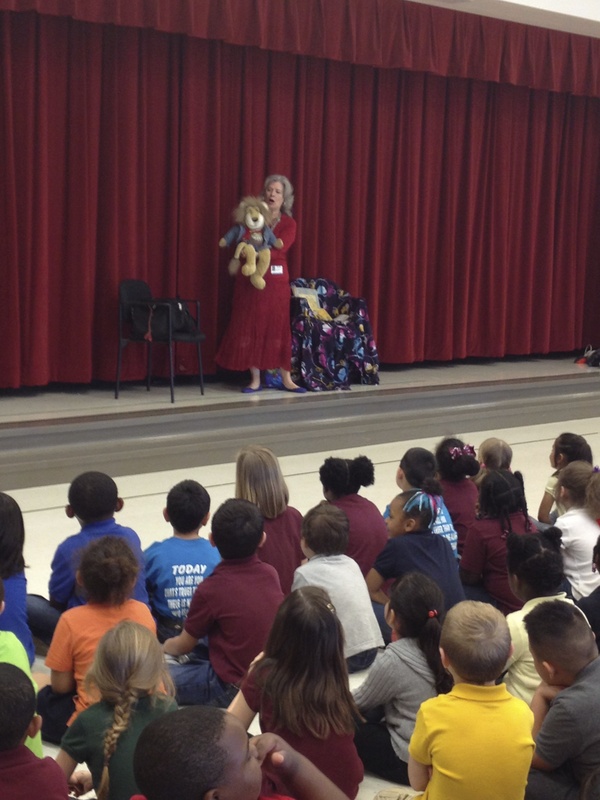 March 4 with the preschoolers at Westminster Presbyterian Preschool in Dallas. Spike wore his blonde wig and insisted on being Goldilocks and we had three children volunteer to hold a bear while I narrated the story. They were wonderful! Sorry, we can only post photos of the Bears and Spike here! February: Amid reports of possible snow showers and icy roads in late February I traveled to Harpool Middle School, Denton ISD, for two days to tell Texas History Tales to 7th graders. What a lovely group of young people. I hope they don’t mind me saying that. I know their principal and teachers would be proud. 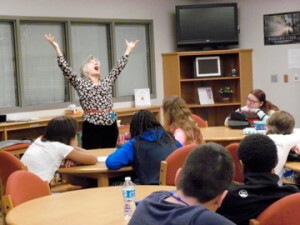 Thanks, Mrs. Sherry Brandt, librarian, and Tejas Storytelling Tellers in the Schools Program. This entry was posted in Jiaan's Blog and tagged 30th Annual Texas Storytelling Festival, Librarian, Mrs. Sherry Brandt, Ms. Jamie King, Spike and Jiaan Powers and new friends, storytelling, Tejas Tellers in the Schools Program, youth librarian at Palestine Public Library on May 10, 2015 by jiaanp.